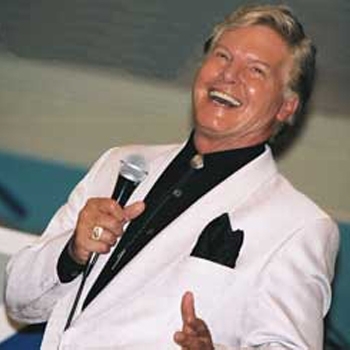 Jess Conrad is one of the most versatile stars to emerge from the 1960?s. He?s had hit records, starred in cult movies, headlined in the most successful stage shows of the day and guested on dozens of top TV shows. Voted England's "Most Popular Male Singer" in the 1961 NME Annual Poll, teen idol Jess had a lucrative contract with Decca. His hit records include Mystery Girl & Cherry Pie. During his heyday, Jess played the London Palladium, Wembley Pool and went on to tour around the globe with the biggest rock 'n' roll and pop stars of the day including Eddie Cochran, Gene Vincent & Brenda Lee. On the silver screen, Jess starred in Rag Doll with Hermione Baddeley, The Queen?s Guards with Raymond Massey, cult hit Konga with Michael Gough, and The Boys, a gritty crime drama directed by Sydney J.Furie. Jess has guest starred on TV shows including Armchair Theatre, Space 1999, Are you Being Served?, Miss Marple, The Generation Game and The Last of the Summer Wine. On stage, Jess received rave reviews as Jesus in Godspell and originated the role of Joseph in Joseph & His Amazing Technicolor Dreamcoat, which broke box office records in the 1970s. Jess?s?gold discs include The Andrew Lloyd Webber Songbook, The Andrew Lloyd Webber Collection, Dreamboats & Petticoats Three Steps to Heaven which sold 100,000 copies in 2012.? In 2013?Jess?was an awarded an?OBE for his services to charity. ?Also that year,?Jess?was voted in as King Rat, a one hundred year old tradition, for The Grand Order of Water Rats. Jess?has been married to his wife Renee, a former Miss Camay Model, for over 50 years. They have two daughters and two grandsons.